Wrong Prescription Lawsuits | Simmons and Fletcher, P.C. the pharmacy provide the correct medicine but incorrect instructions on how to use. Any of these can result in serious harm or death tot he unsuspecting patient. If you suspect that you or a loved one was injured due to a medical prescription error, you may have a malpractice claim against the prescribing doctor or pharmacy and you should consult a medical prescription error attorney to discuss your options. Contact us today to learn more about how a Simmons and Fletcher, P.C. can help you: 800-298-0111. 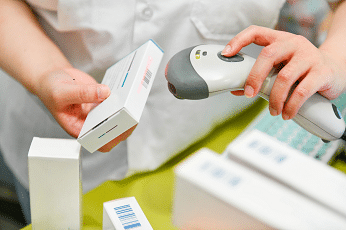 For most people, pharmacies are the last stop on the road to recovery; however, sometimes a pharmacy can be where an injury originates when the pharmacy gives someone the wrong prescription or wrong dose. From prescribing to dispensing medications, doctors and pharmacists are held to the highest standard when it comes to treating injured patients. Thus, pharmacy prescription errors simply should never occur. A pharmacy prescription error can occur in many ways, but it occurs due to the pharmacist being negligent. From the time the medication is picked out to the time the medication is dispensed, any negligence during this process may be considered pharmaceutical error. So, if the doctor prescribes one medication, but the pharmacist misreads it or mislabels someone else’s prescription as yours, this is a pharmacy prescription error. Wrong prescription errors by prescribing doctors involve the prescribing doctor making the wrong decision and/or him or his staff making a typographical error. This may come from the prescribing doctor’s failure to fully evaluate their patient’s medical history or simple neglect on the doctor’s part in filling out the prescription and/or attaching it to the file. It may come from a failure to check the allergy history of the patient. It ma also come from the doctor or her staff simply being to busy to put the correct information down and send it to the correct place. Regardless of why, it is a potentially fatal mistake that cannot be made. A bad reaction to a prescription medication would not necessarily be a pharmaceutical error. This can happen due to allergies or even due to known side effects and risks associated with certain medications. Depending upon your situation, this may or may not be the basis of a medical malpractice claim against the prescribing doctor and/or the basis of a product liability claim against the manufacturer. The complexity associated with this kind of medical malpractice can be made easier by consulting an experienced attorney. You can also consult our pharmaceutical product liability page for a list of known pharmaceuticals for which claims are currently being filed. A patient who suffers an injury due to a prescription error may have more than one claim. Consulting an experienced medical malpractice lawyer can help you decide what option is most ideal for you. These mistakes happen more frequently than they should, so always make sure you understand what medications you’re taking and why you’re taking them. Do not be afraid to ask your doctor or pharmacist any questions that may come up throughout the prescription process. Always make sure you understand how the medicines you are prescribed will affect your body. Do not be afraid to as questions and be sure to provide your doctor with a full background of your medical history before being prescribed medication. If you or someone you love was provided the wrong prescription drug, contact Simmons and Fletcher, P.C., today. Our attorneys have been serving personal injury victims since 1979. Call 800-298-0111 for more information.